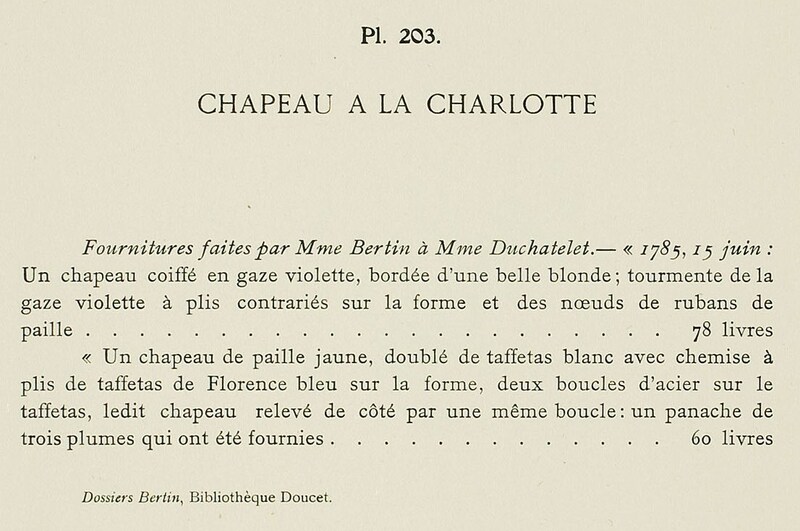 Accessories made by Mme Bertin for Mme Duchatelet. 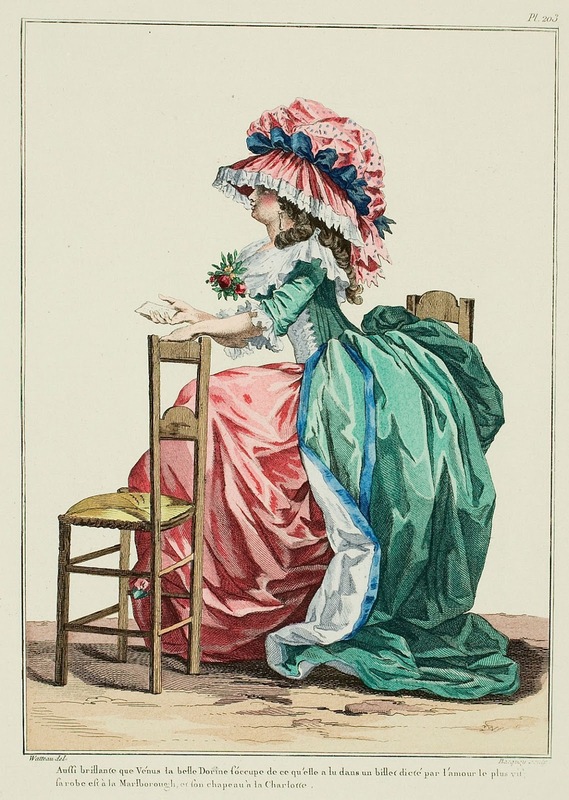 - "1785, 15 June: A hat topped with violet gauze, edged with a beautiful blonde lace; storms of the violet gauze in contrary pleats on the crown and knots of straw ribbons ... 78 livres. 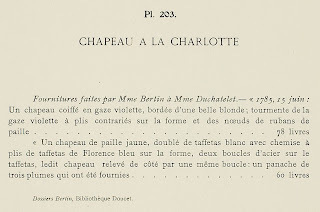 "A yellow straw hat, lined with white taffeta with a pleated chemise of blue Florentine taffeta on the crown, two steel buckles on the taffeta, said hat held up at the side by a similar buckle: a panache of three plumes which were furnished ... 60 livres."